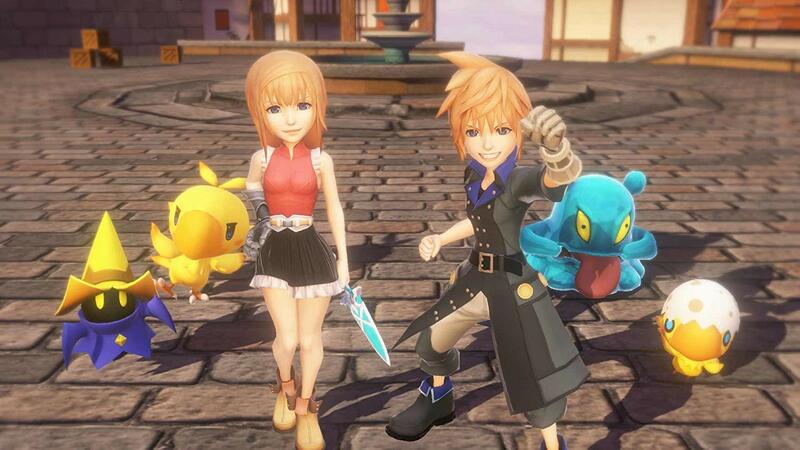 World of Final Fantasy is basically oldschool Final Fantasy mixed with Pokemon all wrapped up in the cutest visuals you can imagine. All of those are good things, by the way. The characters are adorable, the turn based combat is fun, and collecting classic Final Fantasy monsters to fight alongside you is a wonderful mechanic with a surprising amount of depth. The only real issue is that it is all spread a bit too thin and really didn't need to bloat into a 50-hour epic, but other than that it is a very enjoyable experience. Continue reading our full review of World of Final Fantasy Maxima for Xbox One. Developer: Square Enix, Tose Co Ltd.
World of Final Fantasy was originally released on PS4, Vita, and PC in 2017. 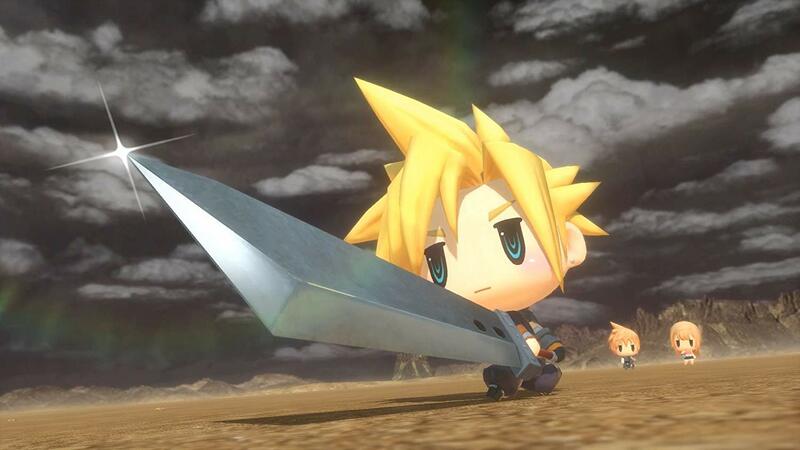 An updated version with more content was released on Xbox One and Nintendo Switch in November 2018 as World of Final Fantasy Maxima. The extra content is also available on the older versions as DLC. The story in World of Final Fantasy follows a set of twins who wake up one day suffering from amnesia. They set out on an adventure to try to remember who they are and discover they are a part of a grand prophecy to save the world. They also posses the power to capture the monsters of the world, called mirages, and use them in battle. 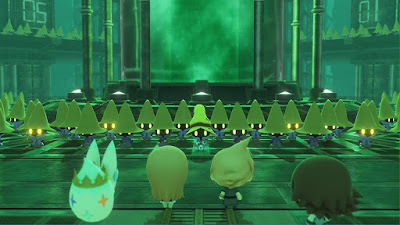 The real point of the game isn't so much the twins, though they are likable enough, however, and rather the real focus for most players will be the fact that World of Final Fantasy is a treasure trove of Final Fantasy references and fanservice. All of the monsters you collect are cute little chibi versions of classic Final Fantasy monsters. All of the major NPC's you meet on your journey are famous characters from other Final Fantasy games. You can even call in some of these famous characters - like Sephiroth, Tifa, and many others - as summons during battles to deal major damage. Key locations from past games make appearances, too. The whole experience is basically "I Understood That Reference" the game. For longtime Final Fantasy fans, World of Final Fantasy is a treat! Combat is classic oldschool random battles (boo, but you get used to it) RPG turn-based affair, but with some unique twists. First is that, just like Pokemon, you can capture the monsters you find out in the field and make them part of your team. Different creatures have different requirements that you have to meet before you can capture them, so it has a lot more depth than just throwing a Pokeball and praying. 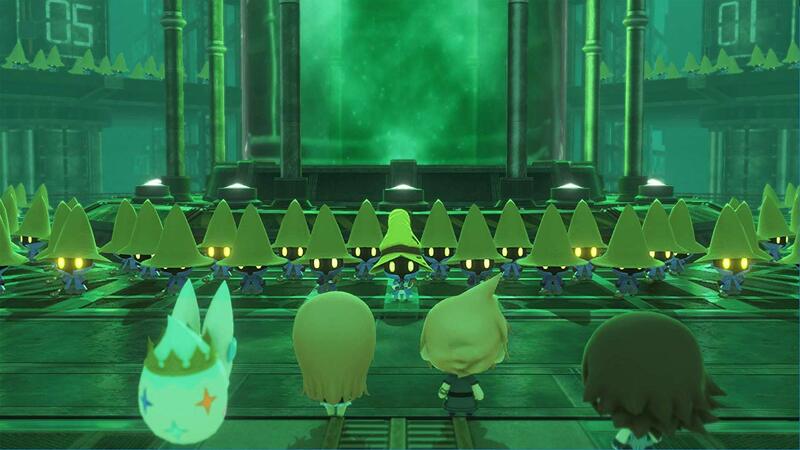 World of Final Fantasy shakes things up, however, by making you stack your creatures and protagonists into columns of 3 with one large, one medium, and one small sized character. The individual stats and abilities of each member of the stack all combine to give you much greater attack power, HP, MP, and other abilities than they would have separately. Every creature has its own skill tree with unique abilities and you can also customize them with specific abilities in free spaces. The idea is that when multiple stack members have the same ability, such as fire, it becomes more powerful. Two members give you Fira, and three members give you Firaga, just as an example. This means that you could theoretically keep the same creatures in the stack and just swap their abilities as you need (depending on the elemental weaknesses of the enemies in that particular area) or you can have a wide range of creatures ready to swap in and out as needed. I love the customization options and the freedom the game gives you to play how you want with the characters / creatures you actually like. It's a great system overall with a surprising amount of strategy and depth. It is too bad, then, that the game drags on a bit too long and can be pretty dry at times. The cameos by the "real" Final Fantasy characters are spaced out a bit too far and the stuff in between is just kind of boring as the areas you explore are mostly linear that stretch out for a beat too long. When the point of the game is really just to be a fanservice delivery vessel it really could have benefited from being a tightly edited 20-hour experience instead of bloating into a typical 40-50 hour JRPG. As much as I do enjoy the combat, the game overall really becomes a grind after a while. My love of Final Fantasy and my eagerness to see who would show up next kept me going, though, and I imagine that will be the case for a lot of players. As mentioned above, the presentation is very appealing in World of Final Fantasy. The main characters can switch between normal and chibi forms, but everything else in the world is presented in tiny cute super deformed chibi mode and they're all adorable. From the most vicious monsters to the classic Final Fantasy characters, they're all freaking cute as heck. The art style is great here. The sound is also fantastic as the music is made up of classic Final Fantasy tracks, the sound effects are pure FF goodness, and the voice acting is well done. The only flaw with the presentation is Tama, your first creature and guide throughout the journey. It talks with a weird speech pattern where it puts "the" randomly in sentences and it is the annoying. I wish Tama would the shut the up. 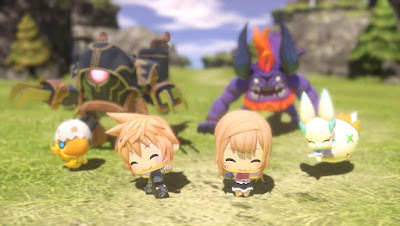 All in all, while World of Final Fantasy Maxima is far from a perfect JRPG overall it is still a very fun and worthwhile experience for fans of the franchise. It might also be a good starting point for younger fans as the art style makes it very appealing, though the depth and strategy required in the combat might be a little too challenging, which is a good excuse to play along with your kids and guide them and introduce them to the world of Final Fantasy. World of Final Fantasy Maxima is an enjoyable romp I can easily recommend to JRPG fans. And I do hope Xbox One owners support it, as well as the other titles Square Enix is releasing like FF7, FF9, FF10/10-2, and Kingdom Hearts III, so we'll get more games like this in the future.